Some time ago Kevin from Justwrite Pen Company offered few australian made pens for reviews. Sadly I haven't qualified to review the pen but Kevin was generous enough to send me samples of Blackstone inks as a consolation prize As some of you know I enjoy testing new inks. So once they arrived from Australia I've filled my pens with them and started experimenting. It seems Blackstone inks are a product of FPN - their origin can be traced back to 2013 when some of ink-testers (Amberlea minions) started discussng powdered inks. Soon after many of us had a chance to review / try the original SuSeMai powdered inks. The powders are gone but in the meantime they evolved into Blackstone ink concentrates and recently the line called Colours of Australia was created (based on those concentrates). For instance the line consistes of five excellent inks. I'll review them in alphabetical order. 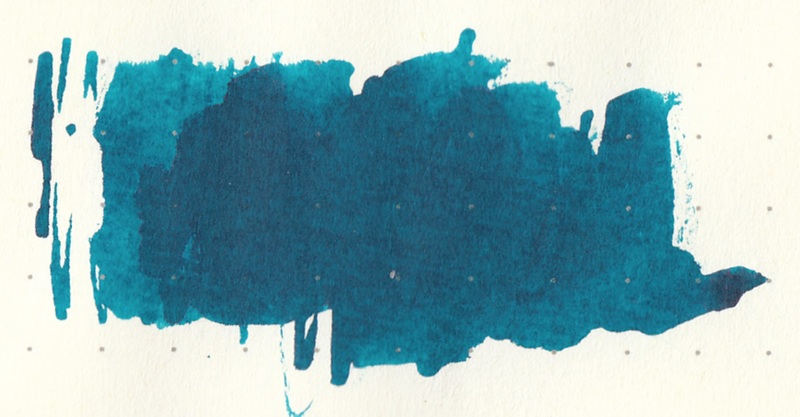 Sydney Harbour Blue is rather fine ink. I'm not crazy about the color but I can't say I dislike it. Thanks again for the review. I find this one interesting, but can not tell whether or not I really like it. 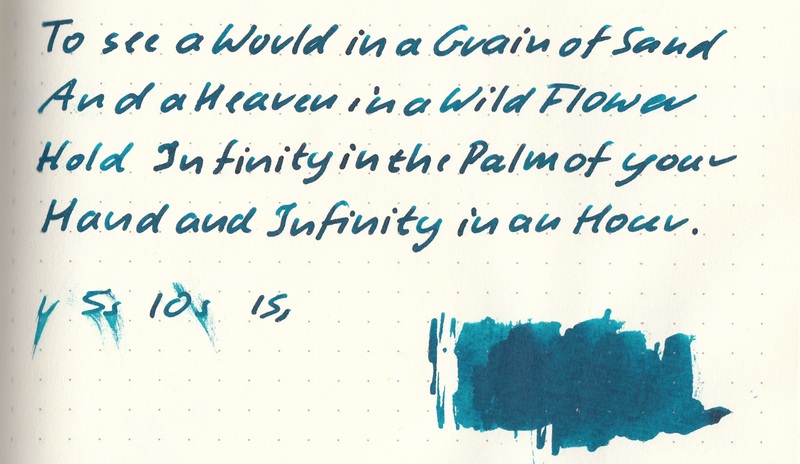 Right at the moment, I think this is my favourite Blackstone ink - I *love* the dark blue-green colour, and the sheen it produces on low-absorbency paper. 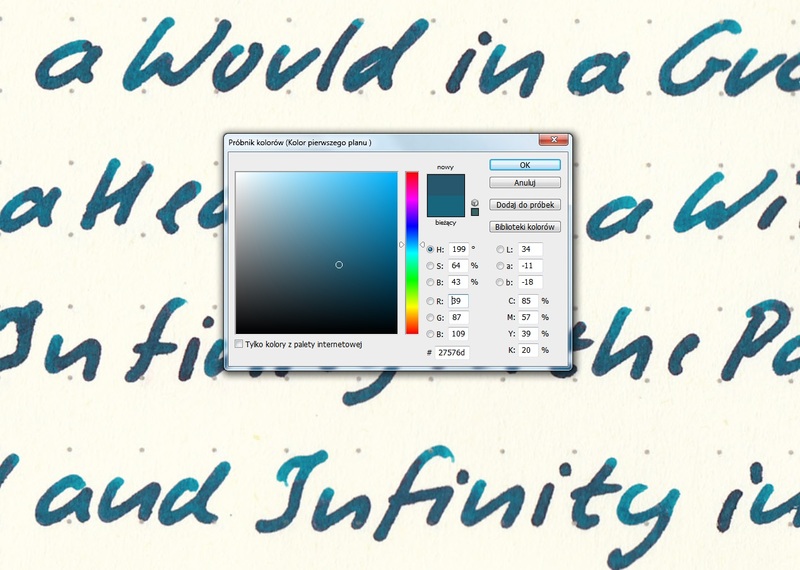 I *don't* know why the JustWrite website describes it as "Blue-Grey", though - it sure doesn't look that way to me! Edited by Jamerelbe, 18 December 2015 - 11:28. When I tested the SHB concentrate the ink more blue black. I guess this is more dilute than my mix - which is a good thing - this version is gorgeous. These two blues are so gorgeous that I am seriously tempted to pay the $25 shipping so they can be mine. I'm not sure I *can* be that patient, but maybe! At least that $25 turned out to be in AUS dollars. Two 60-ml pouches with shipping to the US ($18 USD) is $35, which is less than a pair of Kobe inks. Not too bad! I ended up buying the 30ml nalgene set of "Colours of Australia" when they first came out. Shipping costs almost doubled the price. Expensive to ship...yes, indeed. But I must say, I have no regrets. This ink is really that special. Luckily, Anderson's and Vanness' Pens will be carrying it soon. That ink looks very nice! I really like this colour. Thanks for the review. This color is very nice. Not sure it's worth buying, since I already have a bottle of Yama Dori, but still a nice ink. Fountain pens forever and forever a hundred years fountain pens, all day long forever, forever a hundred times, over and over Fountain Pen Network Adventures dot com! Vanness and Anderson Pens will definitely be carrying the Blackstone Inks. I've also written Goulet Pens suggesting they carry it but so far no response from Brian after 2 communications and a member of his team responded who determines what products they'll stock and had never heard of it and didn't appear too inclined (at least at this time) to begin stocking it. She commented that "they'll look into it". Time will tell. We have ordered the Blackstone- just waiting on its arrival into the US! 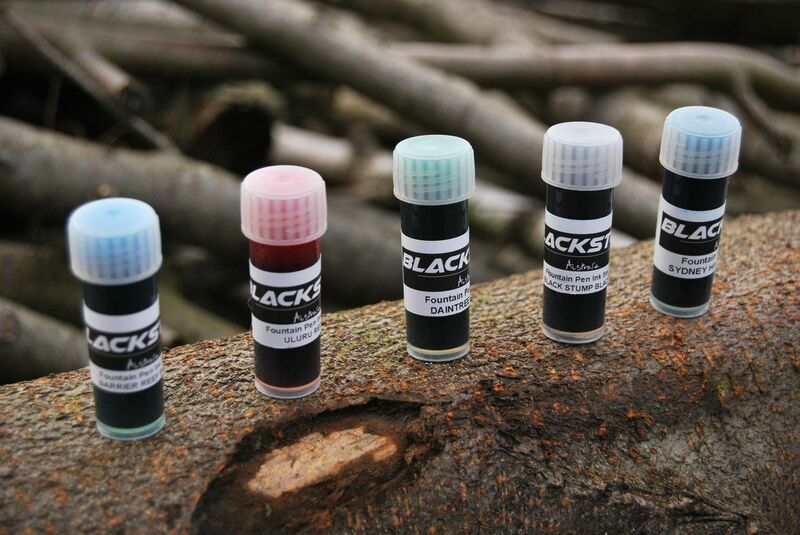 Blackstone Inks now available at Vanness!! 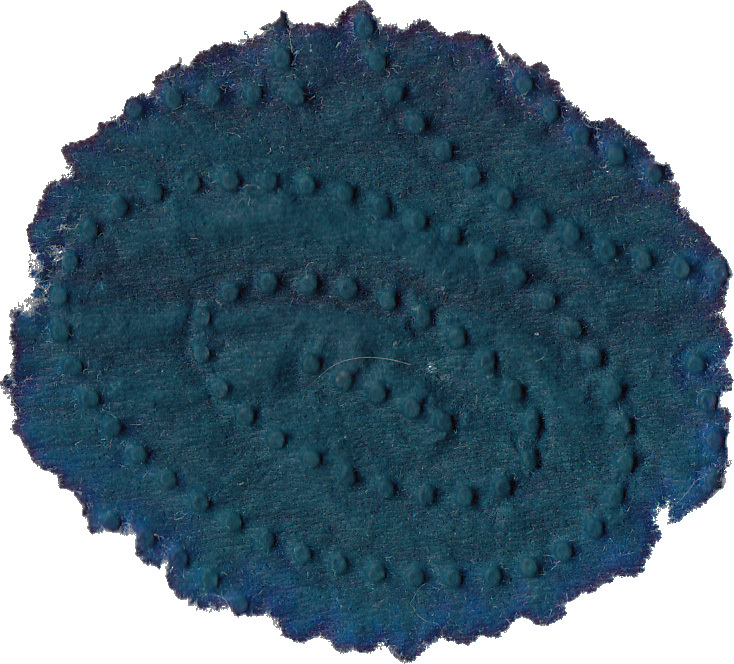 Did I mention that Blackstone Sydney Harbour blue sheens two colors - gold and pink? It sheens pink without much effort, but when it pools, a brilliant gold appears. 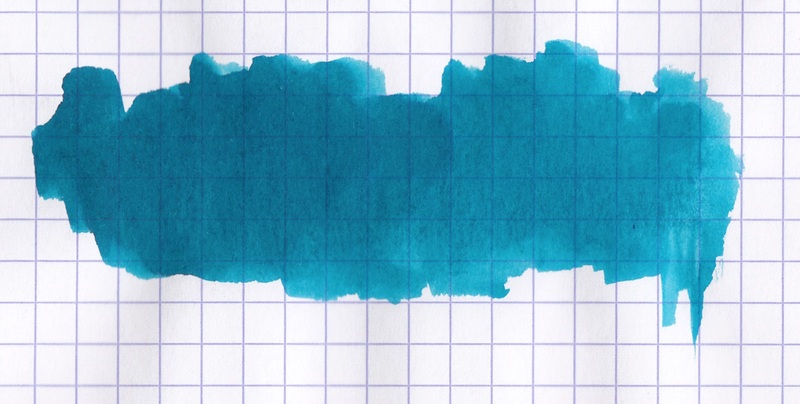 I just noticed this on an ink sploosh (On cheap Daiso paper, too) and was shocked. 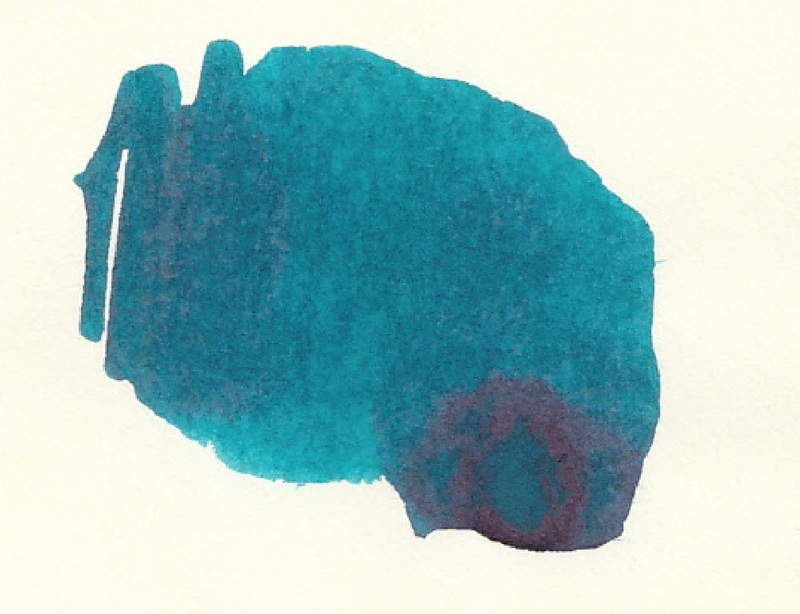 I later looked back at writing I did with Sydney harbour blue and I was noticing both pink and gold all over. I don't know wether this is an isolated incident/miracle and I should be treasuring and worshipping my bottle now, but this is truly amazing. 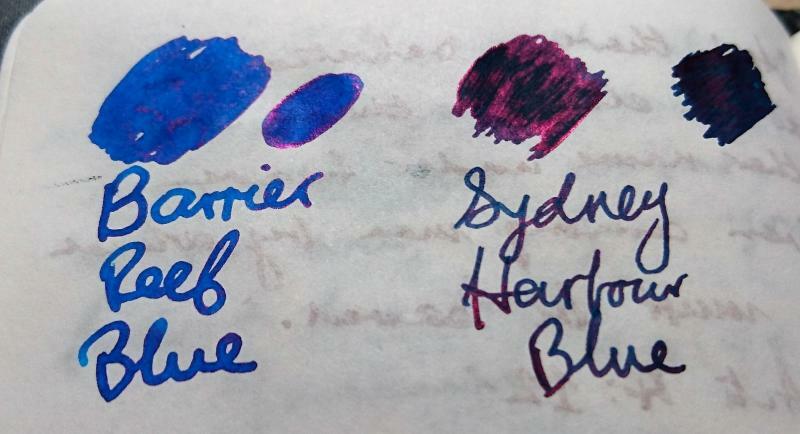 I don't have good photos of the bicolour sheen now, but I'll try to post some soon. Edited by bioluminescentsquid, 13 March 2016 - 03:15. Okay, consider me sold. I'll be buying these on Monday.